Do you have what it takes to run a busy supermarket? Now you have a chance to show everyone! 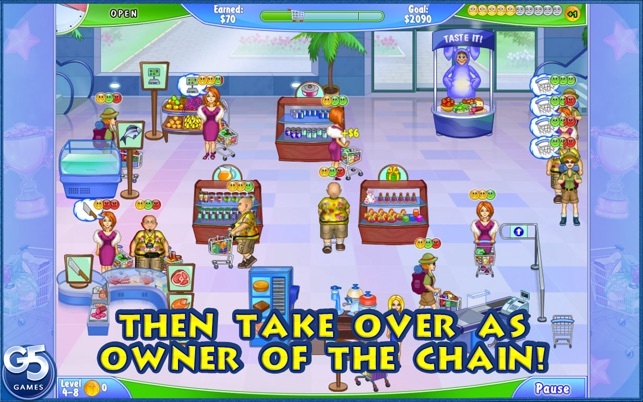 Become the manager of a small roadside shop and end up as the owner of a competitive grocery chain in this addictive time management game. 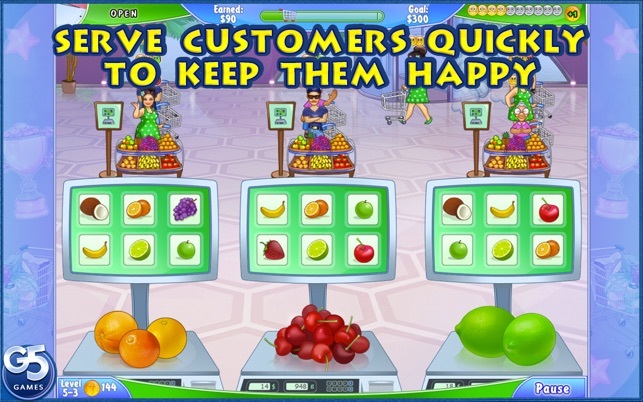 Serve customers quickly to keep them happy and earn more coins Then invest your profits in new equipment and hire additional workers so that you can grow your business. 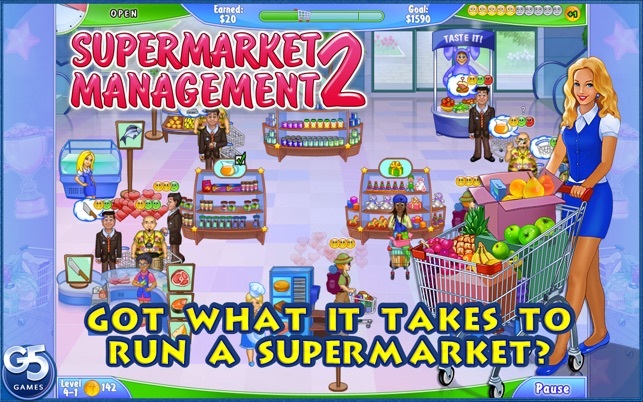 With its true-to-life scenario and gripping pace, Supermarket Management 2 reveals your true leadership abilities in a highly entertaining manner! This game is really fun. No doubt about that. If you love Diner Dash or anything like that, this is something you’ll enjoy. However, I finished this game within a day of buying the full version. Truth be told, I do not think it is worth $7. 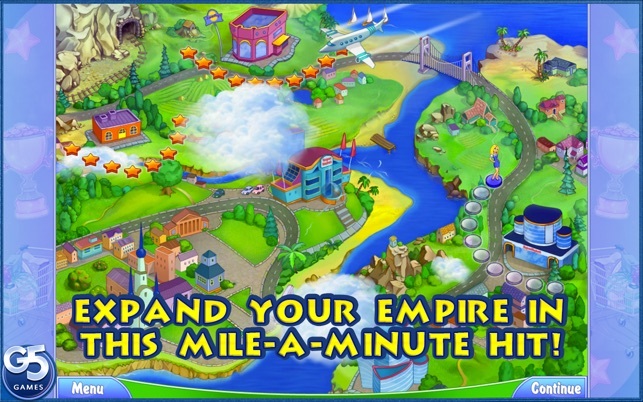 It should have had more levels and stories to be worth that much. 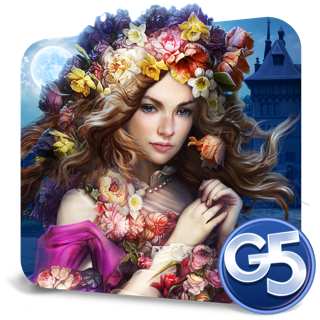 © 2014 - 2019 Playful Age, G5 Entertainment AB. All Rights Reserved.